Posted by Paul Combs on January 17, 2014 at Fire Engineering. 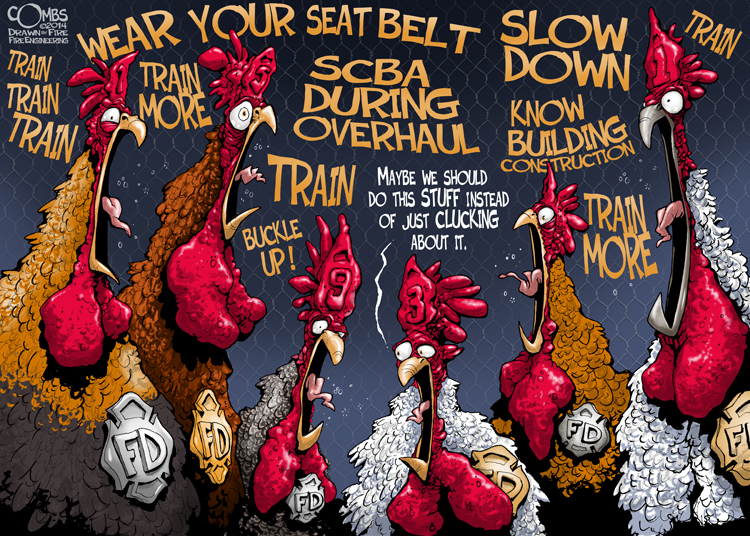 When it comes to safety, sometimes we are no better than a group of chickens clucking, scratching, and scurrying about the barn yard! We say all the right things about safety, complain about the lack of safety, and will even criticize and chastise others when things go wrong – but are you courageous enough to stand up for what’s right when the time comes? Have you ever looked the other way because you didn’t want to call someone out or embarrass a buddy? Perhaps it’s time to shut up and put up. Read, learn, and put safety measures into practice that will ensure, as best as we can, that we all go home without enjury. 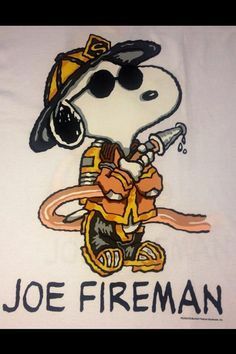 The fireground and apparatus operations will never be 100% risk free, but we can do a helluvah lot to increase our odds. So, what’s it going to be? Are you going to take action or just cluck away? Daily safety inspections must become a ritual, not just a requirement. Situational awareness, and a few secret agent gadgets, saved James Bond during a ski chase in the mountains of Austria. In an article from the The Tao News, it looks like the National Ski Areas Association is urging the same thing, situational awareness, as part of their safety week (January 14-22, 2012) focusing on slope safety. Avoiding collisions with fixed or other moving objects is always a concern for adventurers on the mountain, whether novice or veteran. Skiers can learn much from JB’s ability to remain aware of everything around them and to respond to the unexpected in a sensible way. As always, situational awareness and personal responsibility will help reduce injuries, and possibly save lives. Be like 007 and ski aware out there!